The Neu Table is the latest addition to HAY’s Neu Collection. Cast aluminium with outdoor powder coating. 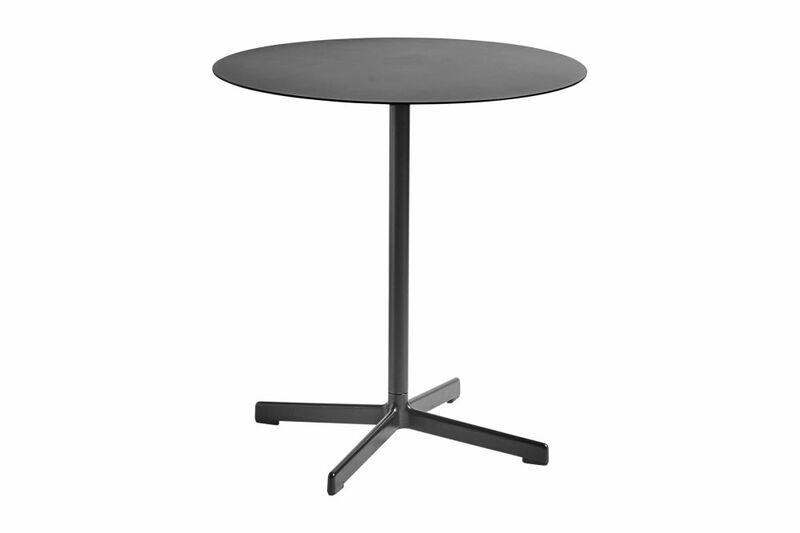 The simple design features a small round or square table top attached to a tubular central pole and angled 4-star pedestal base. Crafted in outdoor powder coated steel and cast aluminium to offer greater durability and resilience, it has a versatile quality that makes it well-suited to both indoor and outdoor use. Its uncluttered lines give it a sleek, understated expression, making it a popular choice for public spaces such as cafés, offices, as well as private areas such as gardens and balconies.